LVMH this week released the Tag Heuer Connected Golf Edition smartwatch to retail. 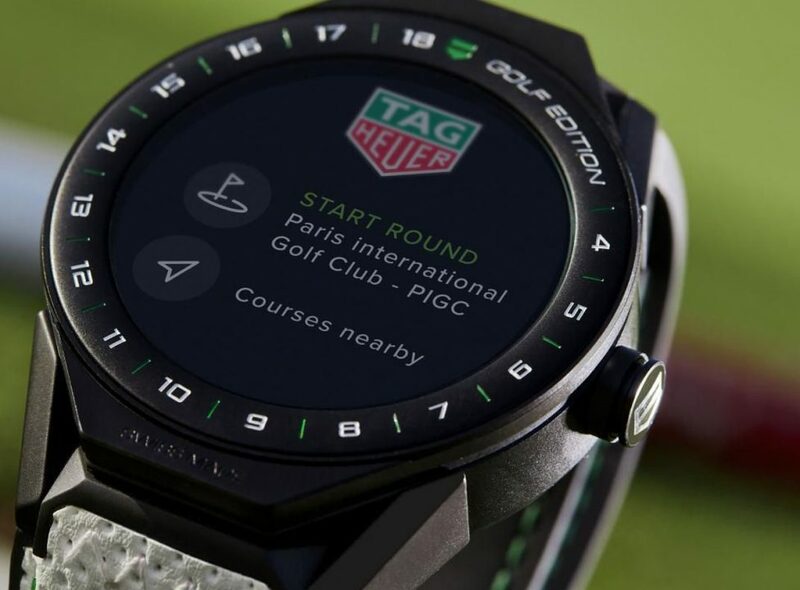 The Tag Heuer Connected Golf Edition is a 45MM Wear OS-based smartwatch that includes an Intel Atom CPU, 512MB memory, 4GB storage, GPS, NFC, 1.39-inch AMOLED display, sapphire cover glass, and Android / iOS compatibility. The Golf Edition includes Tag Heuer Golf, a new app that includes 3D maps for more than 39,000 courses, shot distance measuring, score saves, and club recommendation. A subscription will add 2D course maps, score saves for up to four players, and real time phone stats. Finally, the Golf Edition includes a black ceramic bezel, white and black rubber / leather strap, and three Tag Heuer golf balls.